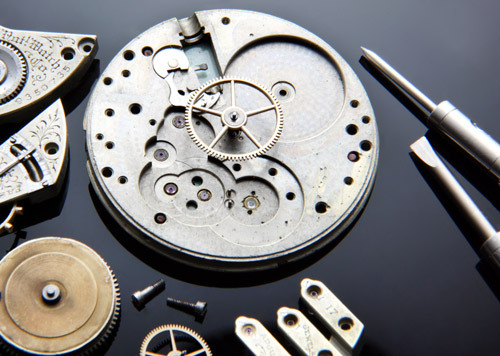 Our fully trained and skilled Horologists can offer all types of repair on your timepiece from a basic clean to mechanical repairs, adjustments, replacement of parts and restoration. We always strive to give a realistic estimate of time and endeavour to do the work required within this time. A courtesy call to our clients is just another part of the personal touch in order to keep each customer as updated as possible. For further information on any services or repairs you may require please feel free to visit the shop, call us or email us. Our craftsmen and jewellers provide us with the full range of skills to repair, replace or custom make your jewellery. From a simple soldering on a gold chain, a ring sizing or even a unique bespoke designed piece, we have the ability to satisfy your needs. We can even hand-design or CAD CAM design your bespoke piece of jewellery and employ state-of-the-art laser welders where appropriate.